Why Film Won't Ever Go Away: Film Cameras are Simple to Use! Think About It? How many settings and adjustments do you really have to make on a film camera: aperture, shutter speed, film speed, and focus (although you may have an auto focus film camera); also carry enough film for what you plan to do. And if you are good at applying or at least estimating the Zone System, 9 times out of 10 you KNOW what your result is going to look like, without the instant gratification of a digital camera. Bracketing will take care of case number 10 if you are unsure. Besides, sometimes that image on the back of your camera is so small, you really don't know what the image will look like, and good digital photographers still tend to bracket and make their final decisions on the computer screen later. There are literally dozens of settings to take into account for your digital camera. So most people never take full advantage of the real advantages of digital, they simply shoot the default AUTO settings, and keep shooting until they have an image that they like. And if your battery dies you are done! I can shoot any of my manual cameras (even the ones with light meters) when the battery is dead. Experience tells me what the best guess is for my exposures under various conditions. 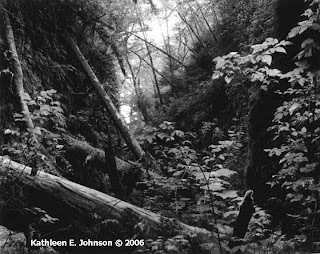 And the decisions necessary for film photography all cause you to THINK and PLAN, two things that are a good idea anyway. That's why many school programs have their students start with plastic cameras, where there are no technical decisions to be make, just the planning and thinking about what you want the image to look like. Lets face it, many of the best digital photographers today are great because they've been doing it for years (meaning that they probably started with film), and THEY could do it well with any equipment. We'll see if the totally digitally trained generation produces a great master, and/or if they do, will their materials survive the digital data rot? We won't know this for a few decades because everyone with film experience will need to die first, so their bad artistic genetics are not passed on. But just in case you want to support film user genetics, check out these guidelines for choosing your first film camera. 1. Select an appropriate subject (buildings are easier to start with). 6. Mount the developed film on a glass plate, emulsion side up, because you will want to place the film emulsion in direct contact with the paper. In my example I had to dodge and burn to even out the final print. Of course if I had been more conscious of the zone system I could have mitigated this problem by ‘placing’ each exposure in the proper zone (i.e. re-meter each shot, which for some reason I did not do). There are some other ways to consider the Whole Roll, Single Subject approach, as I will demonstrate shortly. 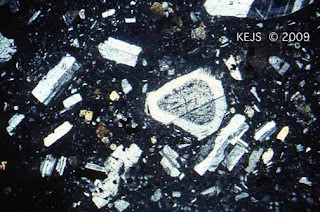 Photomicrographs are a type of technical photography, which simply means taking a picture through a microscope. 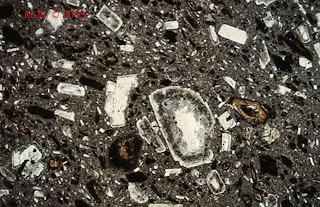 Geologists use Petrographic Microscopes, which are modified for optimal rock analysis by the addition of a rotating stage, polarizing light and other specialized features. 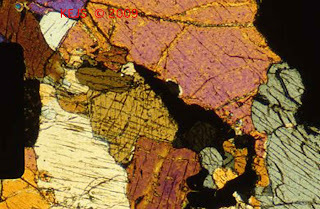 The rock samples are thin sections, rock slices only microns thick and mounted on glass slides. I have taken photomicrographs with a variety of systems: Leica-Leitz (by far the best optical system), Nikon, and Olympus. Examples of each are shown below. 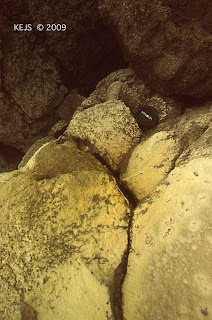 Olympus proved to be the best of the affordable systems (Leitz microscopes cost twice as much as Nikon or Olympus). 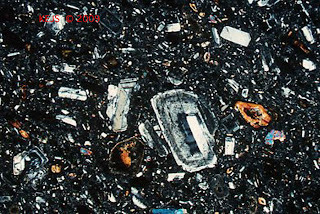 And when I find myself with a spare $20,000 to burn, I’ll have my own Olympus microscope-camera system. 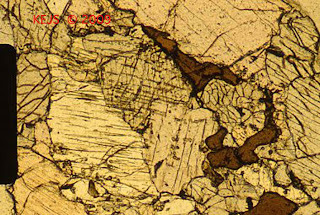 The lab shots simply show macro photography close-ups of rock slabs, highlighting the textures of the samples. 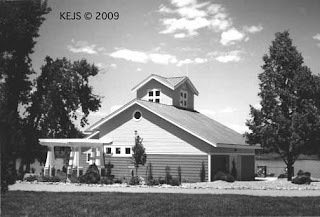 Sometimes similar shots are taken in the field. 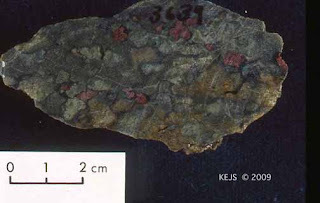 Garnet Lherzolite Xenolith from Kimberly, South Africa. 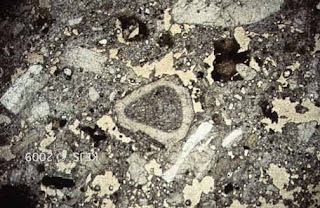 Another interesting type of Lab Photography is making ‘maps’ for the electron microprobe. 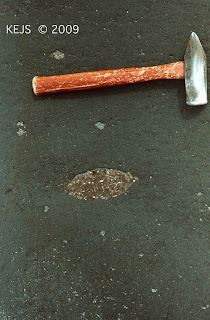 This consists of placing the thin section in a photo enlarger and exposing a projection onto a sheet of photographic paper. I will show an example in Part III where it will become more apparent why one might need to do this. Update: What Type of Film Did NASA Select for the Apollo 11 Mission? Ken Rockwell responded to my email regarding the Apollo 11 film choice. It was Ektachrome MS ASA 64 for Lunar terrain and general photography; and Ektachrome EF ASA 160 for low light conditions on the Lunar surface and interior photography exposed and push processed to ASA 1000. All technical information regarding the mission photography is available at this NASA Link. (Although they were initally defined independantly, ASA and ISO can be regarded as approximately the same). Remember that this is a totally manual camera, not even a light meter. 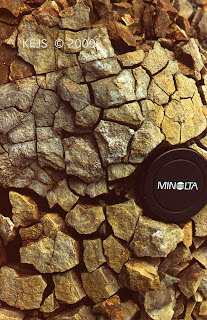 I was too lazy to carry my also very vintage Minolta light meter (i.e. too large and cumbersome for a short stroll around the lake). So I had to guess at my exposures and bracket. I ended up a bit underexposed, even on this sunny day, but now I know. Next time I will try 1/50 second at f4.5 – f8, instead of 1/100. I used an old roll of Kodak C-41 processed black and white film for this test. First I hate the stuff, so who cares if it didn’t turn out well. And, I had recently found this amongst a treasure of 35 mm film that had been ‘lost’ in the bottom of my freezer. As I have read, this seems to happen often. 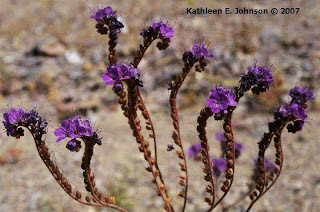 Past Calendars of California Wildflowers, Patagonia, Volcanoes, and Ancient Forests can be view on our website Photo Archives. My last thought on Apollo 11, especially for film users. 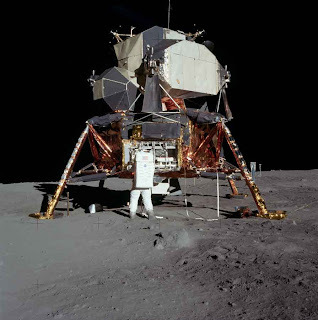 Ken Rockwell (from my photo links at left) has searched and sorted the NASA Apollo 11 Gallery to present the Hasseblad Photos taken mostly by Neil Armstrong (you get the feeling that maybe he enjoyed being the expedition photographer). I assume the film was probably Kodachrome, but I'll try to find that out and post later. 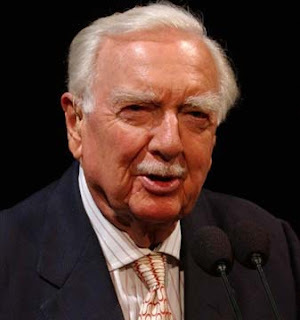 I went to the Moon with Walter Cronkite, as did many Americans of my age, and landed in the early morning hours in the Sea of Tranquility on July 20, 1969. When I posted last Thursday regarding the 40th Anniversary of the Launch of Apollo 11. I had no idea that the person that ‘took me to the Moon’ would die before the anniversary of the actual landing. Today there are no Walter Cronkites and no inspiring national programs like the Cold War infused Space Race. Forty years ago today, in the middle of our Earth night, Neil Armstrong Announced that ‘the Eagle has landed’. And, coincidentally on this same date in 1976 Viking I was the first spacecraft to land on Mars, sending us this first view from the Martian Surface (below). See the Viking I Gallery. Okay, so most of this is digital imaging; But it is also my childhood, and I'm not going to abandon it just because its digital! (i.e. not all digital is a bad thing!) The Space Program was such an important part of my early life, that images from space have played a part in my photography as well. This past weekend my family in Cincinnati had a reunion. Mostly local people, due to the economic situation few of us out-of-towners could make it. But a good first step for a family that usually only gathers only for weddings and funerals. So I thought that I would post a vintage family photo in honor of the occasion. 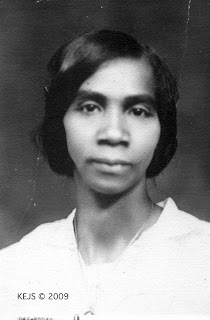 Here My Great Grand Mother, Prudence Caldwell, wife of a Presbyterian minister. Circa 1910's? This is my Father's Grandmother. 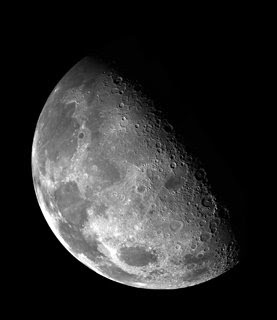 No Pix today, just a remembrance.......and links to great Moon Mission Photos. July 16, 1969. I was nine years old and totally absorbed in the Space Program. The beginnings of my life as a scientist......And Buckeye Proud. Not only had the first American to orbit the Earth been from Ohio, John Glenn, but now the first man on the Moon would be also from Ohio, Neil Armstrong. Also, view NASA Apollo 11 Photos at the New York Times taken with a Hasselblad, the still camera chosen for the Moon Mission (the Astronauts took one to the moon with them). 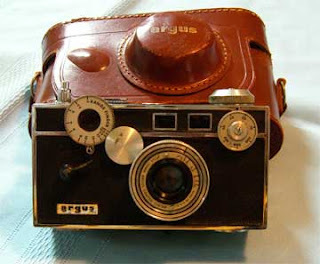 My mother recently gave me her father’s 1950’s vintage Argus Model C3, fondly called the ‘Brick’ due to its rectangular prismatic shape and durability. This camera traveled throughout the Eastern US and Caribbean recording his experiences, mostly visiting family. This is a fully manual camera (no light meter) but with lots of adjustable controls: Shutter Speed, f-Stop, and a handy ASA (ISO) reminder setting on the back. The shutter cannot release accidentally because the release spring has to be set (almost like cocking a gun). It also has a BULB setting. Having found a treasure of old film that had fallen to the bottom of my freezer (this appears to be a common problem), I’ve loaded the camera with film and will be taking pictures around town. The focusing prism seems to be a bit trickier to manage than my more modern Mamiya and Canon rangefinders. By next week I should have some photos from the ‘Brick’ to share. Me at Piton de la Fournaise, Reunion Island in 1998. 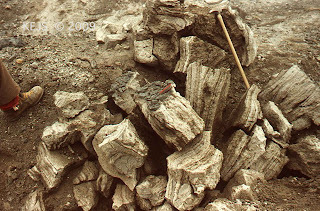 I began my photographic journey because I needed to be able to document geological field studies, as a student, and later as a professional geologist. Towards the end of my first semester in college, our geology professor (Dr. Pope) told us that we needed to become decent photographers so that we could document our work. So we should get a 35mm camera and start working on it, since we would need to be proficient by our junior year for field camp. By the time this message was transmitted to my Mom, I told her that we were required to have a 35mm camera by the start of school in January. By chance, Minolta was coming out with their first automated and programmable camera, the XD-11. So, all of the manual SRT-series were drastically reduced in price that Christmas. And the manual SRT-SCII became my first camera. I’d still have that camera today if it had not been stolen from me in Dallas in 1986. A friend of mine was in a small plane crash with a similar model. It flew out of his hands and was embedded in the wing of the plane. The lens was broken, but the camera still worked! 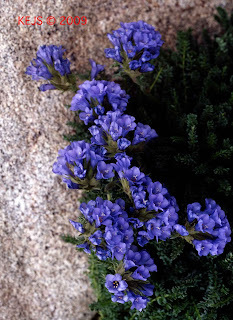 Now, rocks are not easy to photograph. Sure, they don’t move, but when you are there in the field, you have to take the shot, regardless of the lighting conditions or weather. 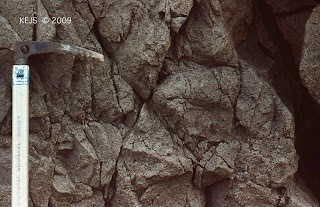 The style needs to be clear and documentary in nature; artsy works, but only if the geology is not obscured. The important thing is to show the geological feature of interest, so most of my geo-pics are great for me, and possible use in a textbook, but not of general interest. 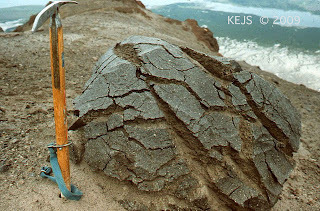 All remaining images are from my first real geological expedition to Mt St Augustine, a volcano in Cook Inlet, Alaska. 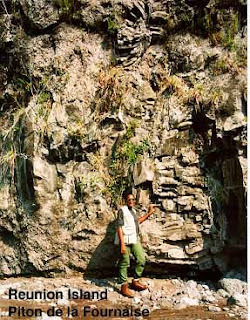 These are typical of geological field documentary style. These slides were taken in 1983, and are as clear today as ever. So much for the complaint that ENC-II film doesn't last! 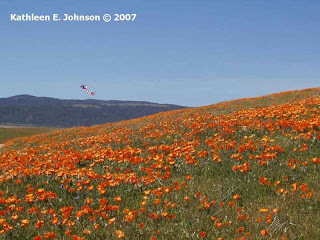 Here is a favorite flower shot from our 2007 California Wildflowers Calendar. Currently we are 'hunting' for the local wildflowers, hoping to have enough for a Colorado wildflowers calendar either this year or next. So that was how we spent much of the July 4th weekend. What Would Edward Weston Do? This Blog started as a way to fill some time without putting too much personal information on the Internet. Yet, because I am still unemployed and waiting for the “Economic Stimulus” to stimulate something in my field, I have time on my hands that I’d like to do something productive with. I’ve talked previously about my volunteer work at the Park, I also garden and workout. But what could I be doing as a photographic focus? 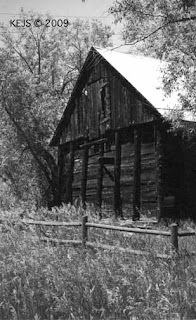 Obviously finish the basement darkroom, but what about the image capture side of life. I have at the same time several and yet no particular projects……. I was reminded of the story behind Edward Weston’s Pepper 1930. He was doing portraiture at that time and working from a home studio near Carmel, CA (He had started out as a portrait photographer in Los Angeles). Needing to be nearby the house so as not to miss an employment opportunity, he looked around for things to photograph. He ended up with a series of iconic close-up photographs, one being Pepper 1930. So I do know what Edward Weston would do with house-bound free time. And in fact one of my best photos, 'Welcome' was a casually taken around the house picture. I usually dedicate one of my Holgas to this Task. 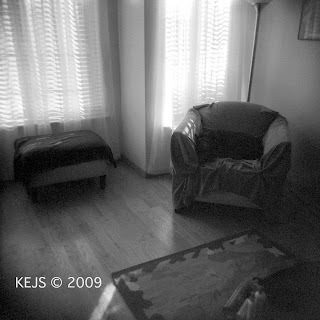 Here I was experimenting with Ilford ISO 3200 film in my Holga (I usually use the recommended ISO400). I wanted to see how much this film improved the results for low-light conditions inside the house. Film: Ilford ISO 3200 (shot at 1600) I love the grain!